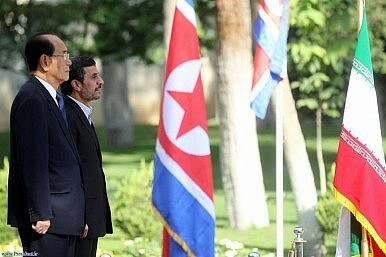 Some argue that Iran could follow N. Korea’s nuclear path. Actually, Pyongyang’s experience may deter Tehran from building a bomb. Despite decades of tough sanctions, North Korea has managed to defy the West and build a nuclear bomb. It has even gone as far as conducting nuclear tests on numerous occasions while threatening war. Besides being troubling in its own right, the West's inability to stop North Korea through sanctions and diplomacy could send the message to Iran that it too can defy the West. In fact, a number of Western commentators and political leaders have warned in recent weeks that North Korea's experience could embolden Iran. The North Korean regime has undoubtedly managed to defy the international community, however, this does not mean that Tehran could do the same. In fact, if we look closer at the major differences between the economies and power structures of both countries, we could reach the opposite conclusion: that North Korea's recent experience could in fact deter Iran from making and testing a nuclear weapon. One of the most important factors which could bring Iran's leader, Ayatollah Ali Khamenei, to such a conclusion is the fact that developing and testing nuclear weapons has not removed or reduced sanctions against the North Korean regime. In fact, these actions have brought additional sanctions. The same would almost undoubtedly happen if Iran finally decides to build a nuclear weapon. Although the North Korean regime may be able to withstand open-ended sanctions and isolation, the same cannot be said about Iran, which is much more sensitive to sanctions. Should sanctions continue and potentially be strengthened, they could even turn into an existential threat for the regime. As Iran's post-1979 revolution history has shown, the Iranian regime is ultimately able to live without a bomb; it can't live without a functioning economy. And there is nothing more important to Iran's supreme leader than the survival of his regime. One of the main factors that makes the Iranian regime more sensitive to sanctions than the North Korean regime is the difference between their power structures. In the Iranian regime, after the top two layers of power which consist of the supreme leader and the IRGC, lower levels are more factional and divided. As the recent public dispute between President Mahmoud Ahmadinejad and Parliamentary Speaker Ali Larijani showed, these disputes can be very public. A functioning economy is essential to buy the loyalty of the different factions within the political elite, which the regime needs to do to legitimize its power base. Should the economy collapse, we are not only likely to see more political infighting but Khamenei could even lose the support of the IRGC, which today, more than ever, is a business entity. Last but not least, should Iran's economy collapse, the security apparatus of the regime may not be able to withstand another uprising. This is a danger which Ayatollah Khamenei will not tolerate.